Fibre is an essential part of a healthy diet. It helps to keep your digestive system in good working order, and has many other important health benefits. Fibre is found in many plant-based, carbohydrate-rich foods, such as wholemeal bread, fruit and vegetables and pulses. But many of us aren't getting enough. Here we explain why you need fibre, and give you some tips for getting more of it into your diet. Fibre is a type of complex carbohydrate that’s found in all types of plant-based foods, including fruit, vegetables and grains. Fibre doesn't get broken down and absorbed in your small bowel like other types of food. Instead, it passes undigested into your large bowel. You might sometimes hear fibre referred to as two different types – soluble and insoluble. However, there’s no longer thought to be much difference between the two. 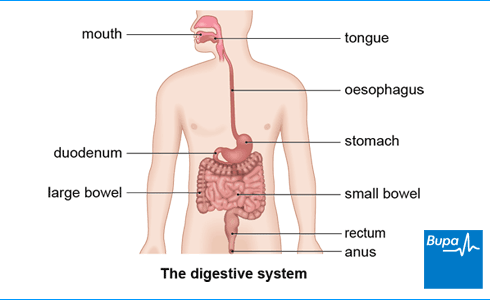 The terms soluble and insoluble refer to whether or not the fibre dissolves in your small bowel. In the past, soluble fibre was generally thought to have more effect in your small bowel, and insoluble fibre in your large bowel. But this isn't always the case, and actually most food that is high in fibre has a mixture of both types. What are the health benefits of fibre? Fibre is important for your digestive health. It helps to bulk up the stools in your large bowel and move it along your digestive tract more quickly, helping to prevent constipation. Fibre also makes your stools softer, which helps with this process. It's recommended that adults should have 30g of fibre a day. Children need less than this. Many people are currently eating less than half the recommended amount of fibre. Eating a healthy, balanced diet including plenty of wholegrain, starchy foods and fruit and vegetables can help you to get enough fibre. Here are a few examples of the amount of fibre in certain foods. How can I include more fibre in my diet? Choose wholegrain foods, such as bread, cereals and pasta rather than white or refined starchy foods. Wholegrain foods contain more fibre. Add fruit to your breakfast cereal or to plain yoghurt. This will help you to reach your 5-a-day target, as well as up your fibre intake. Add beans and extra veg to dishes such as curries, soups, stews and chilli. Go for chopped-up veg, fruit, dried fruit or nuts and seeds for snacks between meals. Check food labels when you're shopping to see which products are high in fibre. If you don't currently eat enough fibre and need to up your fibre intake, it's best to do it gradually, to allow your gut to adjust. Increasing it too quickly may cause symptoms such as bloating and gas. It's a good idea to make sure you're drinking enough fluids too. Is it time to up your fibre intake? Fibre is found in vegetables, fruits and grains. When we include these in our diet, we get help in preventing problems such as constipation, heart disease and cancer. Macronutrients and energy balance. Oxford handbook of nutrition and dietetics (online). Oxford Medicine Online. oxfordmedicine.com, updated December 2015.